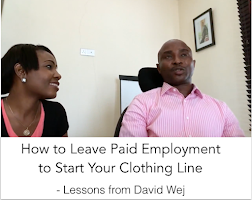 SO I've been meaning to write on this topic for a while now.... and I finally decided to do so today after having yet another chat with a top don in the Fashion Industry who felt the same way I did about the craziness that goes on around here. The first time I was asked this question was on some TV interview last year and of course I answered the question without batting an eyelid. :-D But since then, I have asked both new and practising designers the difference between the two terms and it turned out that whilst everyone, more often than not, knew who a designer was, none of them actually got the definition of a tailor. So here we are setting the record straight.... with of course "The University of Google", "The Internet Institute" & "The Wikipedia College" to support my claim. So who is a fashion designer? My answer?! A fashion designer is the creative mind behind any item of clothing, be it a high fashion runway garment or your regular pair of jeans or tee shirt. 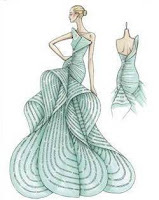 They conduct research, develop a concept and vision for the type of person they would like to dress, create a visual image of their concept through sketches (or drapery) and oversee the various design and production processes that bring their sketches or designs to life in the form of a three dimensional garment to fit their muse or intended market. In other words... a fashion designer is the "brain" behind any garment produced. S/he sees the finished garment in his/her mind, documents it on paper in the form of a sketch (or drapes it on a mannequin) and brings together a strong team of skilled people to assist him in the construction of his idea into a "wearable" or better still "physical" garment. NOW! 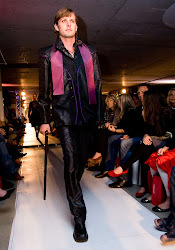 Must a fashion designer necessarily have his own clothing line or engage in bespoke services? Nope. Must a fashion designer sew? Nope. If he has the skills and chooses to, why not?! However, in my opinion, if he wants to run a proper business, he has no business sewing BUT needs enough knowledge to guide his team. Ok... so let's see how I did. I always like backing up my statements with research. 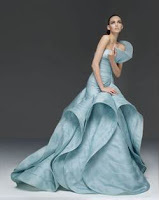 Wikipedia says: "A fashion designer conceives garment combinations of line, proportion, color, and texture. 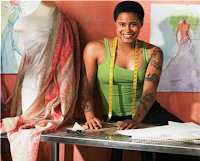 While sewing and pattern-making skills are beneficial, they are not a pre-requisite of successful fashion design." A-ha! See...?! And now ON to the JAMB question. Who is a tailor? This is where most people bungle. The usual answer I get is "a tailor is someone who just sews or joins the garment"...or something along those lines. You know what the problem is? Many of us assume that the term "tailor" refers to the people many of us love to yell at for wrecking our clothes almost every time. 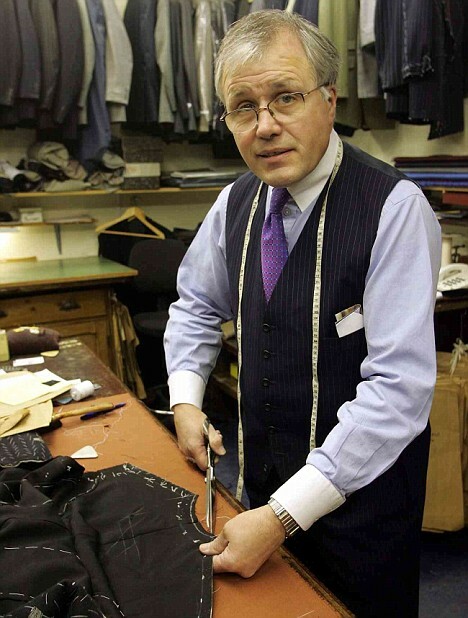 In fact, more often than not, when one is called a tailor, we consider it a derogatory term. But the truth is, the word "tailor" has really been abused in this environment. In my opinion, to be called a tailor is actually an honour! Why you ask? Think of the term "tailored garment"... and go on to think of Oswald Boateng and other Savile Row Tailors. And tell me why should I not be proud to be called a tailor?! In fact, look at these images and tell me they are not a far cry from our local definition of tailor. A tailor, in my opinion, is a true master and "architect" of clothing. 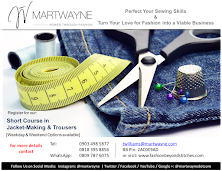 He makes customised clothing, particularly suits and tuxedos for a select number of clients, considering their unique peculiarities and goes through a painstaking process of pattern making and intricate garment construction techniques including handwork and various fittings to come up with an awesome garment with perfect finishing for his, usually, high-end client. In fact Wikipedia defines a tailor as "a person who makes, repairs, or alters clothing professionally, especially suits and men's clothing." It says further that "the term refers to a set of specific hand and machine sewing and pressing techniques that are unique to the construction of traditional jackets." So we can safely conclude that clothes made by tailors will be very expensive. They have to be. I make suits and I know the stress that goes into it and I can't charge less than a certain amount for mine much less these guys. I guess we can also add that if you do not make men's clothing, particularly suits, you should not call yourself a tailor. SO I ask... must a tailor know how to sew? I would definitely say yes ...if he has to go through those tedious processes. But truth is in reality, he probably just creates the patterns (or guides the pattern maker) and passes it on to his production team so he can busy himself with other work. Ok so now...if our local tailors are not tailors, then what do we call them? Let's see if we can come up with an answer by asking some questions. 1. Do they make customized clothing? Yes! Ok, forget the fact that they alter it like 50 odd times... but truth is, every garment needs a fitting before it is finalized. 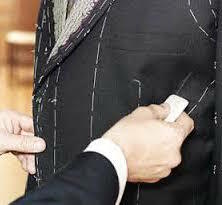 Note that in the picture, the tailor does a fitting even before inserting the sleeve. So I really cannot understand why people here are so averse to fitting... like they expect it to be done right the first time. I actually have the greatest respect for them seeing they can churn out clothes in one day and sort of get it and you guys really should give them a thumbs up! 2. More importantly, do they make suits? More often than not, NO! 3. Do they go through the many processes and pay strict attention to detail? Errrr.... I would say NO! Very few of them do. 4. Do they create patterns? I think it'd be safe to say NO (though I watched an online video once of a tailor who didn't create a pattern). Ok seeing they do not qualify in 3 of the 4 areas above, what do we call them then? I, personally, would call them machinists (or joiners as is the common term here), perhaps even seamstresses (for the females) but definitely not tailors. 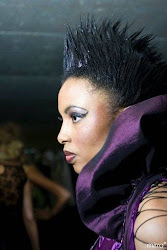 However, I have chosen to use a better accepted term here for the sake of blending into the Nigerian Fashion Industry. I would choose to use the term "local" or "roadside" before the tailor. Afterall, we need to give them credit for attempting to create customized clothes for their customers every time. "Ladies and Gentlemen I hope I have been able to convince you and not confuse you of the difference between a fashion designer and a tailor". PS. All pictures culled from the internet. 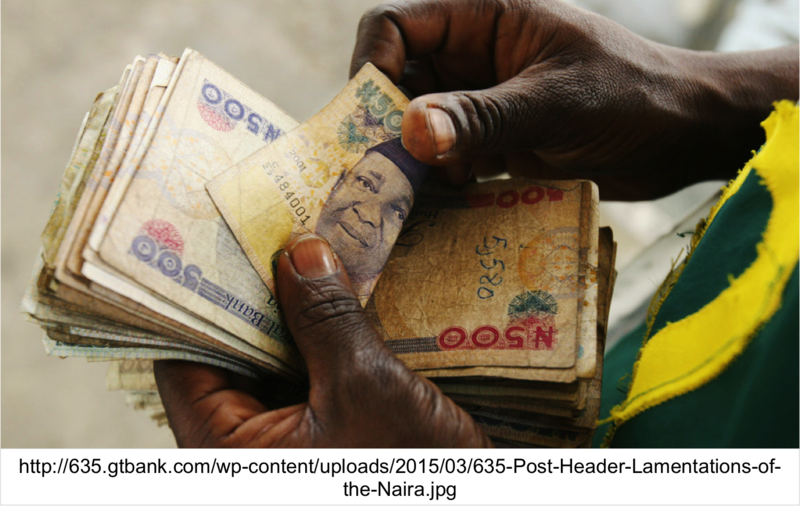 I agree with you 99% - what we have in Nigeria are seamstresses and machinist - one cant even call them joiners per se. They are definitely not tailors... tailors are way beyond them! Yes a fashion designer doesnt need to sew or even know how to sew although it does come in handy with eery staff. Dont even let me start on the Nigerian customer that assumes a fashion designer is a seamstress and should be able to make you a pillowcase when you need it! The 1% I disagree with - I think a tailor should be able to sew... a tailor who cant sew is not a tailor in my opinion... they are tailors based on their job description of executing exacting, detailed tailoring! A "tailor" who cant sew is just a production/factory manager - where the factory is a cloth production one. Well done with your fashion school/institute... I know you will do fantastically! LOL!!! I can definitely feel your frustration. Luckily, no one has asked me to sew them a pillowcase...and I doubt that they ever will. Re the 1%, I think you may have misunderstood me somewhere. 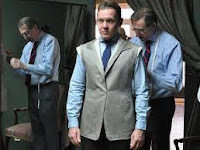 Yes a tailor should... in fact... MUST be able to sew in my opinion but must he physically sew every suit himself? I don't think so...how else would he have the time to go around marketing and running his business. In modifying a statement made by Pastor Ibukun Awosika at The Platform to suit this purpose, "the minute you choose to set up a business, you cease to b a tailor and and become an entrepreneur". I feel it is definitely not feasible in the long run if you want to run a viable business structure. Thanks a lot! :-D Who knows... maybe I will begin to run online courses and perhaps you can plug into them from wherever you are in the world. Watch this space! And all the best with your clothing line as well and have a fab 2012! ok... very informative piece u have here..
bt am just more confused reali where do i fall in..
i think the prob with Nigeria is cos of ow harsh ow economy is most of us are multi taskers, me 4 example am 80% fashion designer(cos i still sow alot despite d fact i sketch all ma designs maself) , am 80% tailor(cos i do all of the above except make men's suit) bt am 20% an entrepreneur(cos in btw being a fashion designer, tailor and dealing with clients ma brain is so occupied, ma physical body is tired ve nearly 4gotten bout expanding ma business)...so what am i trying to say , u cant do it all if u want 100% result, u have to choose where u belong and b d best there,u shuld have a reasonable amount of knowledge in all areas cos they are interwoven , bt u def cant b an expert in all! talking frm experience!!!! Re your comment, I totally identify with the challenges you mentioned. I have been there myself... I fact I have "soooo" been there I broke down twice and had to be put on full bed rest. I didn't even know stress could cause you to throw up until my doctor told me that. Only then did I realize the need to pull back. I can tell you for free that one major problem designers have in this industry is the fact that they have refused to split up the production process and collaborate or work with other people so they can focus on the creative and business sides of their establishments. Most of them "own" the creative and production process from start to finish...and judging from your comments, you seem to be at that same spot. There is absolutely no need to own all the aspects of the production process, and you definitely have no business being behind the sewing machine. All it does is result in entrepreneurial burn out and like you rightly said, you will find it difficult expanding your business. Needless to say, all the money you are making might end up either buying medication for your aching back or amending problems caused by fatigue which could have been avoided. I'm sure you know that the more tired you are, the more mistakes you make. With respect to discovering yourself, that should really be the first step. Quite a few people do not study the industry before plunging into it. You will find that you might be operating in an area outside your capacity when all you need to do is outsource certain things so you can focus on creative areas. And we are all guilty of it, even me. I have, however, spent the last 2 years discovering how exactly I can add value to myself and the industry and I believe I have found it. Thankfully, though I still work a lot, I can at least sleep at night now. 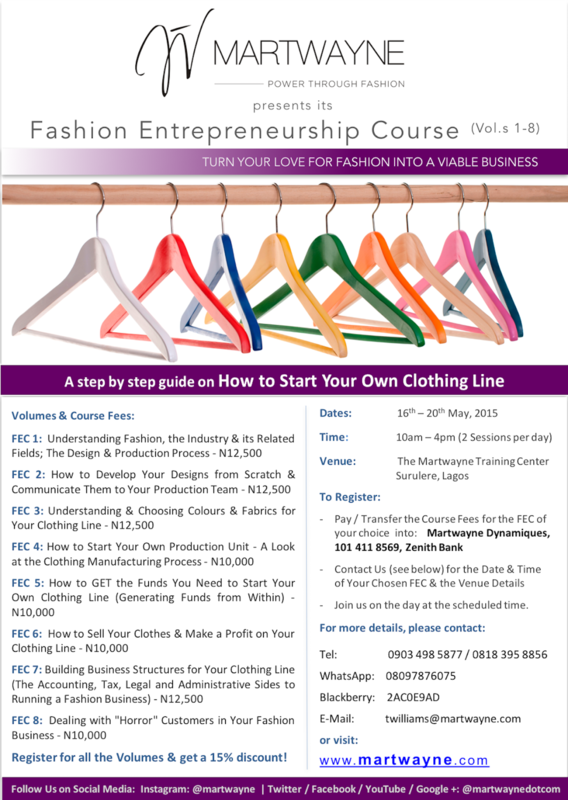 You should attend the Fashion Entrepreneurial Course (FEC) taking place every last Saturday of the month, starting next month, 25 February, 2012. I am sure it will add a lot of value to you. Details of this will be available shortly once I iron out all the fine details. All the best... and don't worry, the fact that you have identified that there is a problem means you are one step closer to solving it! It is well! This was very VERY enlightening. I often wondered what the difference in skill between a tailor and a seamstress was and this really cleared that up. I also love your pictorial depictions. I'm pretty sure I stared back and forth between the sketch of the evening gown and the final product 20 times. You certainly know your stuff and I look forward to learning from you as well as wish you continued success! I know...that dress is stunning isn't it?! Here's looking forward to you joining the Course and learning a whole lot more! 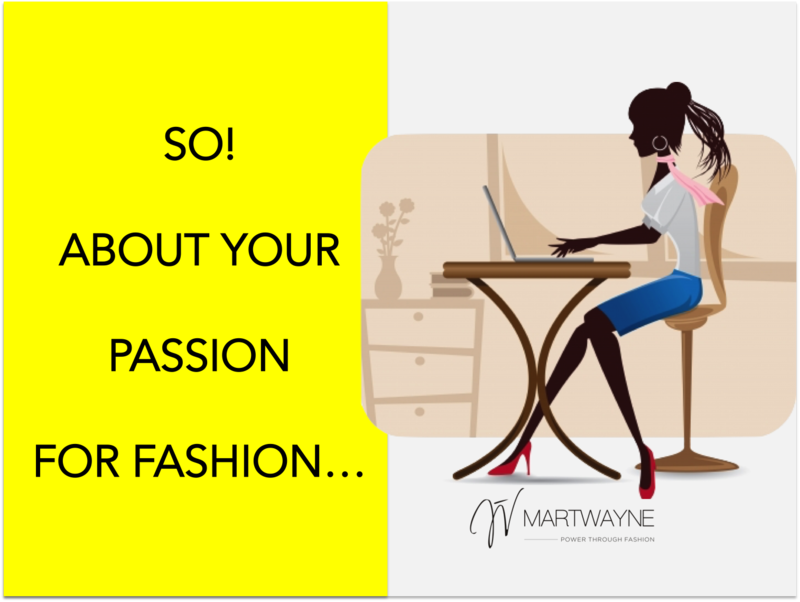 I totally enjoyed reading your article and all comments and replies to each.I would say i am a fashion designer and partly a tailor , because i sketch my designs,make patterns,sow and finish(detailing, embellishing and the likes). 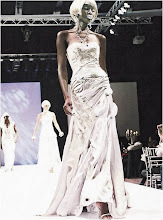 Fashion design is very interesting and tedious.I am particularly faced with the challenge of getting the right tailor,seamstress or machinist(as mentioned in the article) for my works.Majority of these machinist needs training on how to join. I want to know if one can get trained machinist at the programme slated for the 19th of Feb.tagged "Designers Connect". I really like what you are doing more greese to your elbow. Oh wow! The term "Entrepreneurial Burn-Out" comes to mind after reading your job description. How do you cope?! Goodness you need to break up the production process else you will break down. I've been there so I know exactly what I'm talking about. You need to slow down and focus on certain areas and outsource or get a team to assist with the others. 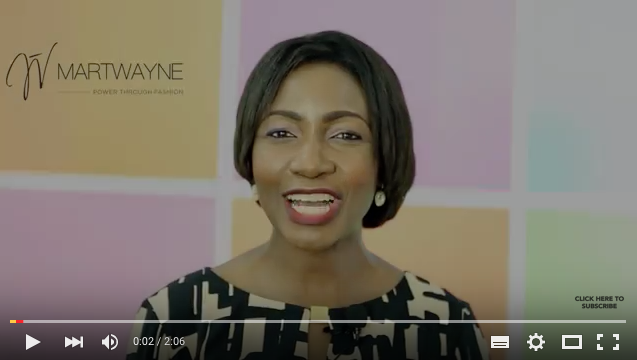 I'll discuss more about this during the Fashion Entrepreneurial Course on the 25th but we will touch a bit on the areas on the 19th at Designers Connect. I am working on a few projects to address your need re the trained machinists but the information will not be available on the 19th until I have dotted my "i"s and crossed my "t"s. But if you do send me your details, I will keep you in the loop when I have finalized the arrangements. Thank you so much Mojirola. Your comments are indeed very encouraging and I am glad you like the contents of the blog. Amen! Amen!! Amen!!! to your prayers and I hope you subscribe, become a follower of the blog and continue to keep up with the blog. Many thanks once again and have a great week ahead! Love what you are doing.I have always love putting pieces together for my tailors to sew but i have never had the chance to learn.I want to quit the 8-5 job and go fully into what i love doing but am scared. I remember the day i wore a piece created by me but sew by a tailor into Afri-bank broad(Just 22years old then)and a lady stop me and ask how i got the design and who is my tailor ,when i told the story behind the concept she said to me little lady you are wasting your time in school lol.. When is your next class,i will love to know,even thou am expecting a baby this summer. Love you and your ideas,may God favor you more and more. First... congratulations for considering quitting your job. You may not do it any time soon but at least you have taken the first step by planting that seed. Just nurture it and build your confidence till you eventually decide to leave. Just know...it may not be greener on this side of the grass in the early days, but it definitely is more fulfilling when your hard work begins to pay off. Fear is good! It shows you are still human and you still have a sense of reason. But you need to have the "can-do" attitude just believing deep down it will not fail! Since you have it in you, you can begin to put a sketch book together and put your ideas on paper. Then invest in yourself. 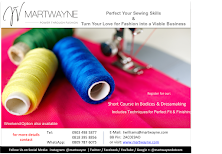 Of course I'd always tell you to register for one of our weekend courses (if you inbox me your e-mail address, I can keep you posted) to get the required knowledge necessary to become a fashion entrepreneur and, more importantly, avoid making certain mistakes others, including myself, made. Your Expectations from the Network. Looking forward to receiving your details and congratulations in advance re the arrival of your baby!!!! Have an excellent weekend ahead! Hi my dear! I loved the area and identified with the face I have on my blog. I'm Angolan fashion designer, a columnist for Life magazine and also a blogger and would like a lot to maintain contact with other bloggers who follow the same line that my editorial, I am half sick of blogs color pink who love fashion and embellish have a certain critical eye. Here in Angola, many tailors are said to be designers, as many good designers are out of the limelight due to monopolization of the market and lack of knowledge by those who claim to be the kings of the package. Information is everything and it is important to stay informed and know distinguish the terms. I agree with the other readers who support the idea that a tailor should rather learn to sew because the knowledge of how to sew is what makes it what it is,'' a'' Taylor. Access my blog is in Portuguese but there is a translator. I'll add your blog to my list of favorite blogs and I follow. XOXO and continue in thy truth. I am glad you like my blog. It pretty much is my voice to other designers out there and I am glad people are responding to it. Not an easy task running a blog because of your other work activities and the strange internet connections you have here, but knowing people from all over the world connect to it keeps me going. Thank you so much once again. I hope we get the opportunity to actually connect in person in the near future. Do have a fab week! Amazing piece, and an eye opener for me. I used to design and make clothes from start to finish for a few people on the side while doing my masters (and it was totally exhausting). I completely stopped when I got a job and now with my job I can afford more fabric and supplies, but totally lack the time. After reading your piece, I will now focus on churning out designs (which comes easily to me) and look for a good machinist or seamstress to bring the designs to life. I can picture my closet already. T.williams you really did a greate comparison job here.it has really come in good time.I support ur motives&agree that tailors are to the sewing machines while designers are not to it!thank you real much for expantiating thiscolumn!I hope to have the honour of meeting with you. Nice job T, I'm glad to have found this blog... it appeals to what I've had in my mind perhaps since I was born? I've always been excellent at sketching, designing, drawing, but hey - my parents are Nigerian - so I'm a lawyer in real life ...but I wake up every morning with a style or design in my head, and usually I put them to paper accurately. What does that make me? 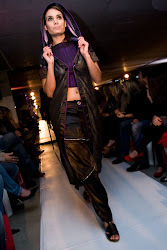 I design all my tailored clothes myself as well those of my many sisters and my kids. Because of the problems you outlined about our 'local tailors' I virtually have to sew the clothes with my mouth (though they are the one using the machine) lol. I've often wondered if my sketching skills were of any value as in could I get paid for designing and sketching in these climes, cos each time people see what I sketch they look a second time, so I guess what they see is good. I used to sew with the machine when I was younger, I learnt by myself, with my mothers machine, no formal training. I am a stickler for excellent finishing though and I wonder where I could learn that at an affordable cost, or alternatively, get tailors who have that quality to interpret for me the stuff that comes to my head. Though i'm happy being a lawyer, I often imagine that I'll probably be more fulfilled as a designer than I am as a lawyer considering how stirring I find it. Cheers and keep up the good work. Great! I'll check it out! 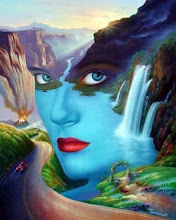 this is a very nice blog and i have really enjoyed it even though it is my first time here. 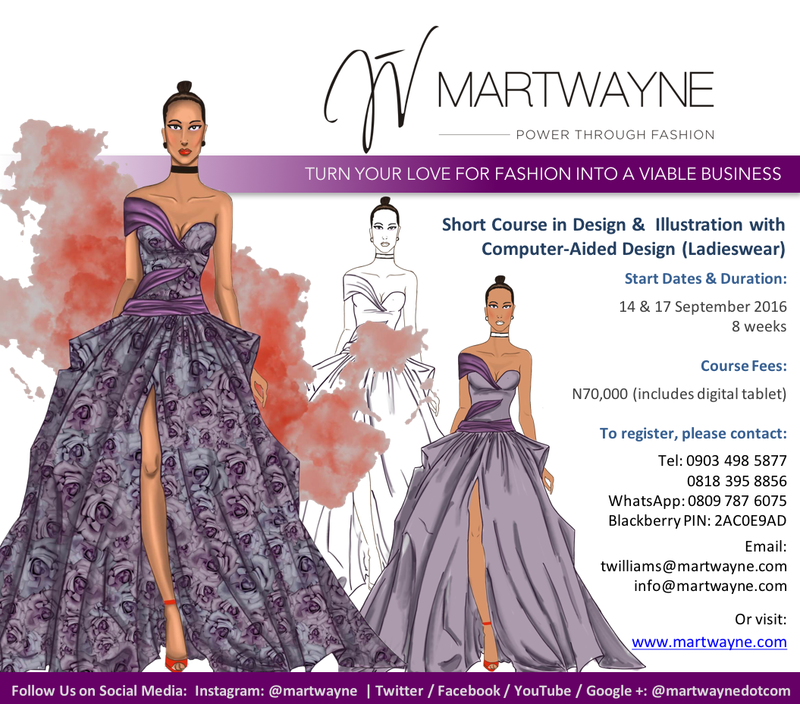 i would love to participate in one of your classes esp FEC; my boyfriend is a fashion designer and we are seriously considering starting up our fashion business. as a partner,i would love to arm myself with the requisite knowledge. would you consider bringing your team to Ghana sometime since we live here or you could think about international participants so we can equally benefit from your bank of knowledge? thanks; hope to hear from you. Thank you! I'm glad you enjoyed the articles on the blog. Someone did suggest going to Ghana in the past but that would be dependent on the costs involved in running the training over there. I am working on some projects... though they are a bit time consuming and pretty pricey but I am hoping to make some of my materials available to people outside Lagos. If it does materialise, I will post the details on the blog. Perhaps you could give me your suggestions and I will see how I can incorporate them in future posts. Hi T. Williams, i'm verry impressed with all your post. I sketch my designs and do all the sewing work , pls do i get good tailors to relied me off the work load ? Hi, I do like parts of your article as I am looking to enter the business side of things. However, I wouldn't qualify our tailors as 'local' or call them machinists or joiners as that is really patronizing! Though like you pointed out,they need to break up their production processes to be more efficient but some of them have been sowing our traditional outfits and even suits to high standards. As Africans, we need to make up our definition of tailors and fashion designers and not what some western thought has told us it means. So for me and many others, a tailor is simply the guy that takes my measurement and makes me a dapper outfit (traditional, western, etc) and I pay him for his service. Thanks.. I'm afraid I have to disagree with you though. You cannot use the word and then ignore its true meaning. The term "tailor" is not indigenous to Africa. 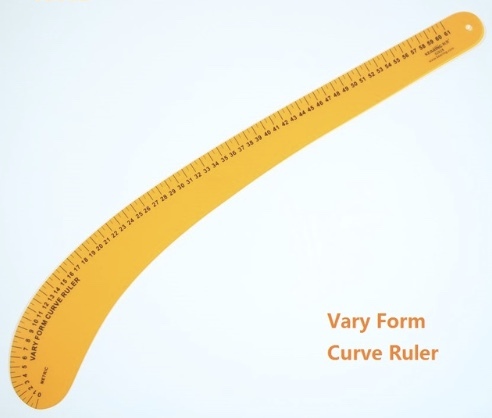 It is a Western term and as such, we should identify with its true meaning. We cannot "make up" our own definitions. Making up a definition does not make it right and this is not an "Africa vs The Western World" debate. Teaching someone, e.g. a young child, to ignore the true definition of a term simply because the use of the word has another generally accepted definition is simply flawed. With respect to the terms being patronising, I apologise if you feel that way but that was not the intention. The point of the article is about putting things in perspective and sharing knowledge. It is no way meant to be derogatory in any manner and I clearly stated in the article that I had the utmost respect for them and I really do. If I did not, I would not have the good relationship I have with mine. However, the term machinist or seamstress is a perfectly acceptable term and recognized job description in the industry. So also is the term local or roadside tailor - the term "local" not used as the typical slang but used as its dictionary definition. We have true tailors who get offended when called one, simply because they do not truly understand the meaning of the word. And it is time to change that mindset and get operators in the Industry to use the proper terms and also educate their customers. I'm neither a Tailor or designer, but passionately appreciate good designs when I see them. Reading through the comments here have been such a eye-opener. Thank you! SO sorry I am just responding! I finally got my settings sorted! SO sorry I am just responding... Glad the article helped. Your Expectations from the Designers Connect Network. Once we receive these details, we will add you to the list and of course you can begin to benefit from information that we will disseminate to members in the Network. 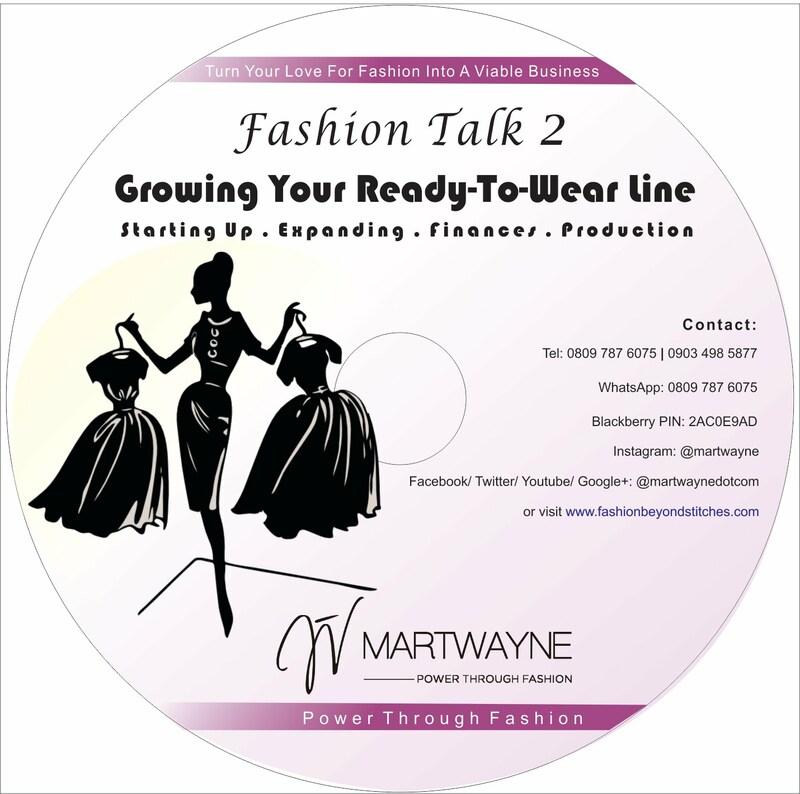 Also... if you are a designer or a business professional and you have a service that will be beneficial to fashion designers, please send the information to us as well and we will also share this with members in the Network. I have already started receiving information that some people would like to spread to others and I will begin to share these as soon as I tidy up the list. A tough one around here. Most of the ones I know actually run their own businesses. But please contact 0814 708 0041 perhaps there is someone they can recommend. Thank you madam T, i just found this article it is so deep! now i know where i stand. Hello T, thanks so much for the article, it's so enlightening. It's quite funny how tailors around here refer to themselves as fashion designers when they can't even make a sketch! In fact, the terms are used like grade ;-, I appreciate the clarifications you've made here, more grace. Sure no problem. Chat with me on WhatsApp 08097876075 and we can take it from there. Your article is so what I need right now. I just got back from my 'so called' fashion designer... like i actually stopped using local tailors and upgraded to the higher priced fashion designers cause I wanted better quality sewing, but alas this my designer's finished products are like that of the popular street obioma's (no offense to them). She (or whoever sews for her) can join clothes quite alright, but the finishing is always very rough. Like She has her label which she sews on clothes and has a small sewing school where she teaches people how to sew, but still she produces uneven sewing, over lapping threads, uses cheap zippers, doesn't pay attention to details at all. Makes me assume it's one of her students she gives to sew the clothes which is just very wrong. That's like Murdering your brand. In my opinion, a fashion designer has to strictly monitor their tailors work, make sure all the details are perfect, and as little fabric joining as possible shows. The worst part is she always adds her own 'touch' to my designs and its always a flop; I end up having to change the design. (E'g I gave her the image of a kimono to sew, she ended up making a sleeping jacket). Now when I called her out on her mistakes she got so defensive and was all "I've been sewing for 10 yrs, I don't make mistakes'....I'm looking for a new tailor now but really, I can make better clothes with a needle and a thread than most of these Nigerian designers/tailors. Oh my goodness! Seriously?! "I cannot make mistakes"???? That's the best she can do?! And she also trains????!!!!! My goodness! Exactly why we have a bad name and why people would rather walk into a store and buy clothes rather than patronise us. This is the 2nd time I am hearing this this month. 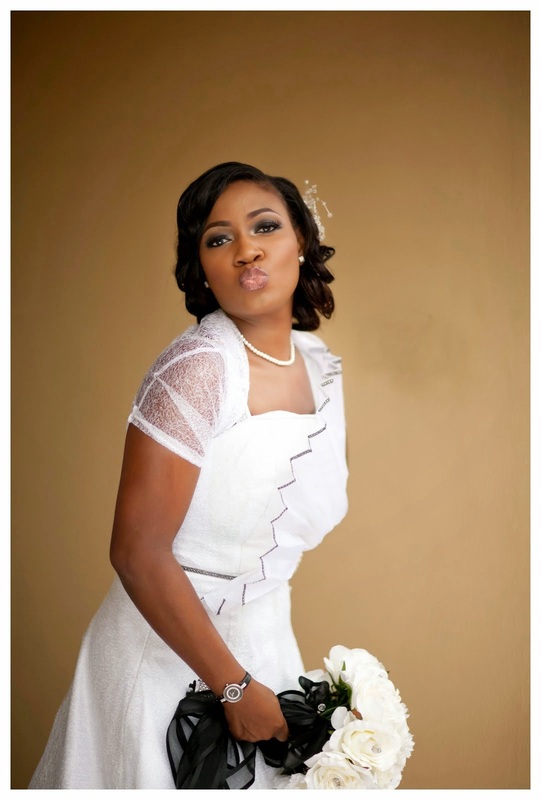 Another lady I just met - a banker - swore NEVER to patronise Nigerian designers again and she mentioned some "top" names. I am so sorry about your experience. I wish I could actually see a picture of this work and run a post on it. I don't even need her name or the label! It is just wrong! I don't even know what to say... On behalf of all designers out there, I sincerely apologize! Like its really frustrating. Seeing how i don't like buying clothes, I'm seriously considering getting a brother machine to start making my own clothes. With a YouTube 'How to' Video, I bet I can make better clothes than she can. P.s. Whats your email pls. I'll take a picture of the clothes, plus the sample pictures of what I wanted and mail them to you. P.s. Whats your email pls. I'll take a picture of the clothes, plus the sample pictures of what I wanted and mail them to you. I can imagine... LOL @ getting your own machine and making your own clothes. I often tell my students after their first outfit "I bet you now have more respect for your tailors right...???" AND more often than not, I hear "YES!!! It's not easy at all!" And it really is not. That said.... I am really curious. 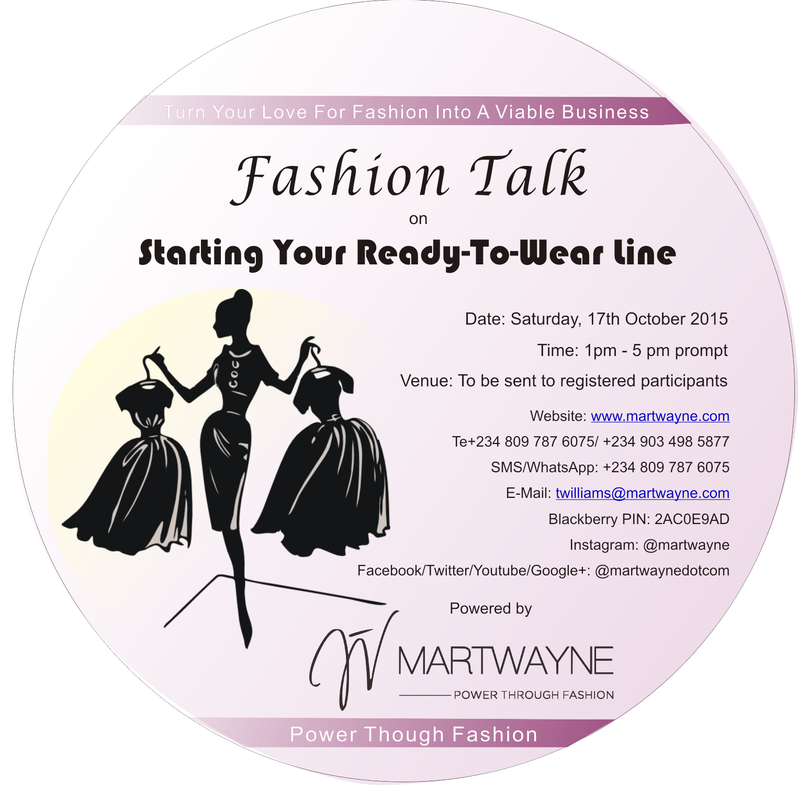 Please send the pictures to martwayne@gmail.com I cannot wait to see them! I agree with you 100%...thank you for putting this up here. 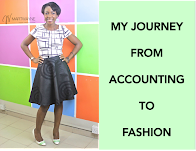 I must say that for the aspirants of fashion designing, this is a must read post. 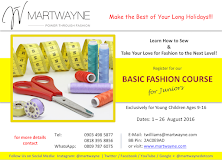 It will help them to truly understand the difference between a fashion designer and a tailor. The totally agree with the point of view the author has shared. Fashion designer are more creative, innovative and they always try to launch something different, and tailors will follow these designers for making their traditional dresses only.